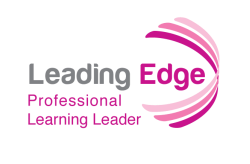 Welcome to Leading Edge Certification for the Professional Learning Leader. This certification focuses on those who provide professional learning to educators across all curricular areas, and is comprised of multiple modules – ranging from Professional Learning Environments, Developing Community, and Digital Literacy and Citizenship – and is a 6-8 week course that is delivered through a combination of face-to-face and online trainings. Professional Learning Leader Certification is offered by both Leading Edge Core and Stakeholder Alliance members. To learn more about earning Leading Edge Certification for the Professional Learning Leader, please review the next page in this section, ​Is This LEC Course Right for You?